2 mega residential projects looked to be coming our way! Provisional permissions have been given in the third quarter by URA for two mega private residential projects of over 1,000 units each. 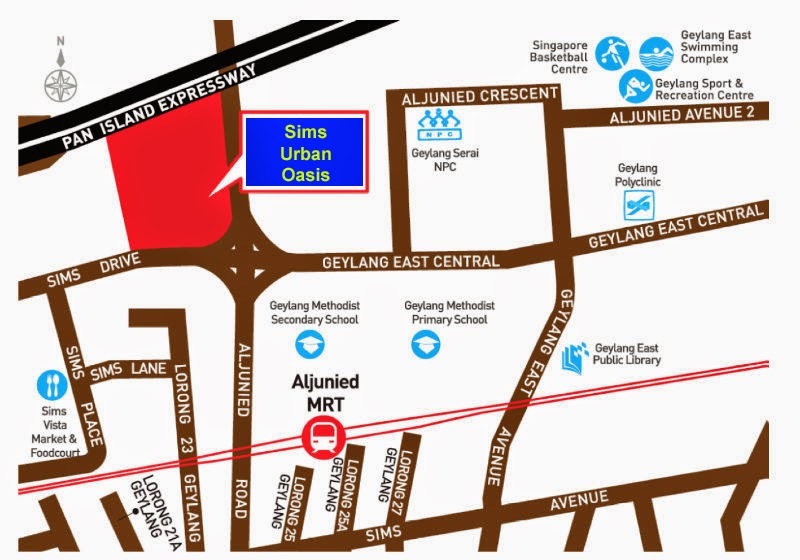 The first is for Sims Urban Oasis, 1,024-unit condo to be built by GuocoLand on a 99-year leasehold site fronting Sims Drive, Aljunied Road and Pan Island Expressway. The group, controlled by Malaysian tycoon Quek Leng Chan, paid $530.89 million or nearly $688psf ppr for the nearly 2.4 hectare land parcel at a state tender that closed in late April. As some of you may recall, the wife and I were at the "community outreach" discussion for this project some months ago and had blogged about it. The second permission was given to Kingford Property Development to build a 1,165-unit project along Upper Serangoon View. The project, Kingsford Waterbay, is located on two adjacent river-fronting sites that was clinched for $460.4 million or $522psf ppr at a state tender that closed last November. The approval granted is for 1,157 apartments, 6 terrace houses and 2 semi-detached houses. No Comment to " 2 mega residential projects looked to be coming our way! "